Represented by Media Celebrity Services. 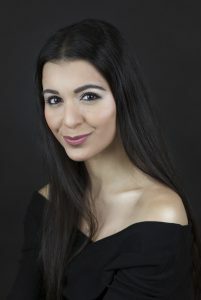 Born in London to greek cypriot parents, it was at a later age of 15 that I discovered my passion for acting. After 2 years on a waiting list, i finally got into the well known Annascher Theatre in Islington. In my 10 years there, Annascher taught you all you need to know about television and theatre. Improvisation was also a key factor in its teaching methods. Whilst at Annascher i also completed my BA Hons degree in Drama and Media arts at St Mary’s College, the University of Surrey. At the start of my acting career, one of the highlights was performing at the Almedia theatre. I then went on to do commercials for the Discovery Channel, short films, and photographic work where I appeared on the front cover of dixons catalogue. After taking a break from acting working in retail management, my passion was still my acting, therefore I pursued it once again and have been building up my profile ever since, aiming to be successful at what i love to do. 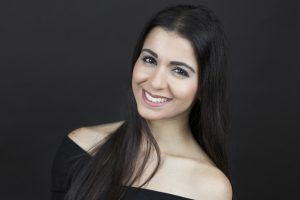 My Greek Cypriot background, and Mediterranean looks have given me opportunities on a wider range of parts, I even appeared in a short film where I had to speak Greek! My highlight so far was being cast as the lead female Simeone in a comedy short film called Pre-commitment by Trinityxproductions, written and directed by Trevor Garlick. It went on to become a award winning short film, where it won 4 awards around the international festivals which included a award of excellence at the accolade film awards in the US, and winning at the Swansea Bay, heart of England, and Ireland film festivals. This was a very proud moment for me. It then went on to be sold on DVD and it got its first distribution from another country which was in Germany, extremely happy how well its gone on to do internationally. Other highlights was being featured as the European Lady in a Yapital Banking commercial with Irresistible films. I also was featured in music videos and in the motorola giftface commercial working with award winning Weber shandwick.